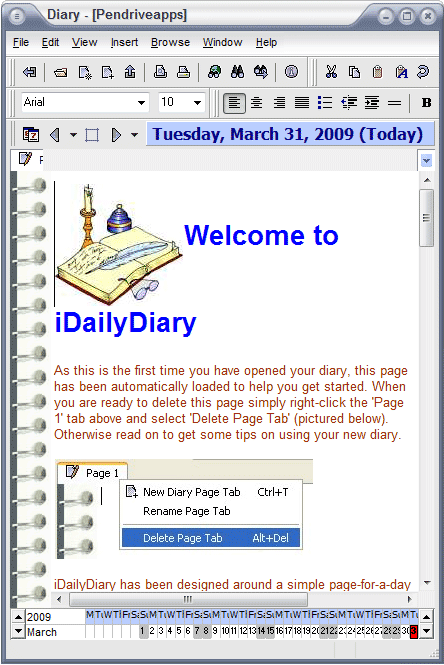 iDailyDiary is a Free Portable Diary Software that can be used as a personal digital diary or note taking journal to log your daily thoughts and ideas. iDailyDiary utilizes a rich-text editor offering it’s user the ability to insert pictures, URL’s, hyperlinks and much more. The diary content can even be exported in HTML format to create your own web pages from your diary. By default, the program allows you to secure each personal diary via a password. Note: You can uninstall iDailyDiary from your PC once you have a copy on your portable device.